ConocoPhillips Australia is the operator of the Australia Pacific liquefied natural gas (APLNG) facility located on Curtis Island on the east coast of Australia. Curtis Island is in the southern end of the Great Barrier Reef World Heritage Area (WHA) and is home to two other LNG facilities. Gladstone Harbor, where most of our work takes place, is a busy industrial port located inside the Great Barrier Reef WHA – a location that makes biodiversity protection a top priority for us. Working with the two other LNG operators and the government, we adopted an offset plan to protect the area’s unique ecology and heritage for future generations, contributing to lifetime conservation of the Great Barrier Reef WHA. On Curtis Island alone, the LNG industry offset permanently protects over 15 times the area it disturbed with more than 59 percent of the island now actively managed under a conservation management plan, compared to just 2 percent of the land used by the LNG projects on the southern tip. 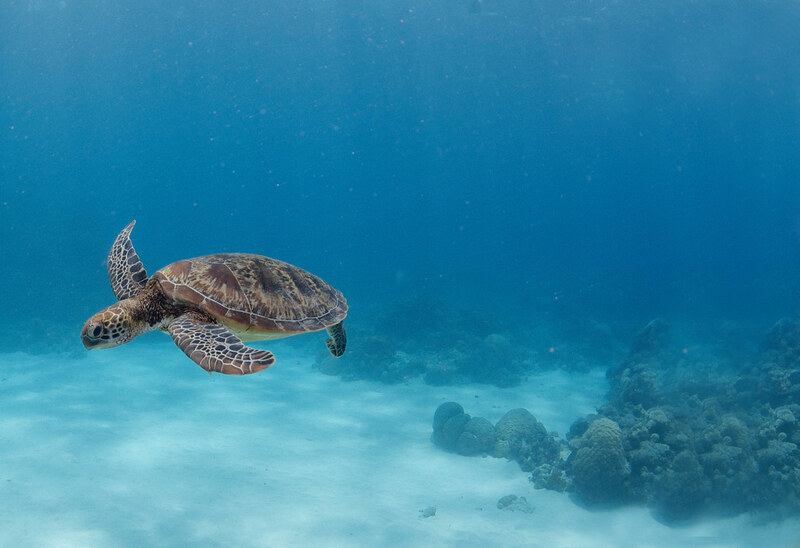 A 10-year long-term turtle management plan monitors the turtle population and health within the Gladstone harbor and southern Great Barrier Reef. Additionally, a ‘Reef Trust’, a Commonwealth of Australia initiative funded in part by APLNG and the two other LNG operations on Curtis Island, was established to pro­tect and enhance the World and National Heritage values. The funding is earmarked for use on projects that protect, repair or mitigate damage to the southern section of the Great Barrier Reef WHA. There is a lot of interest around how we work within the Great Barrier Reef and, as a proud part of the Queensland community, we are focused on its protection. We’ve spent a lot of time and investment on studies to ensure that our operations don’t have a negative impact. In addition to maintaining the highest standards of environmental care on our own site, we’re really pleased to be able to financially contribute to the resilience and protection of the nearby sections of the Great Barrier Reef through the Reef Trust,” said Fiona McLeod, General Manager of Government and External Affairs for ConocoPhillips Australia East. Projects funded by the Reef Trust are aimed at conserving the area’s terrestrial and marine plant and animal species and ecosystems in line with Australian and Queensland Government commitments to UNESCO under the ‘Reef 2050 Plan’. Establishing comprehensive baseline information on populations of marine turtles in the area. A program to monitor, measure and detect changes to the marine turtle populations for at least a decade. The identification of development-related activities with the potential to cause adverse impacts on marine turtles. Measures to minimize disturbance to marine turtles from gas flaring, and from lighting of the LNG facilities and ships moored at the loading berths. “A lot of details were considered in the construction and operation of the LNG facility; we made adaptations such as using matte paint so that there is no reflection of light from buildings that may confuse nesting turtles which use the moon as a guide,” McLeod said. 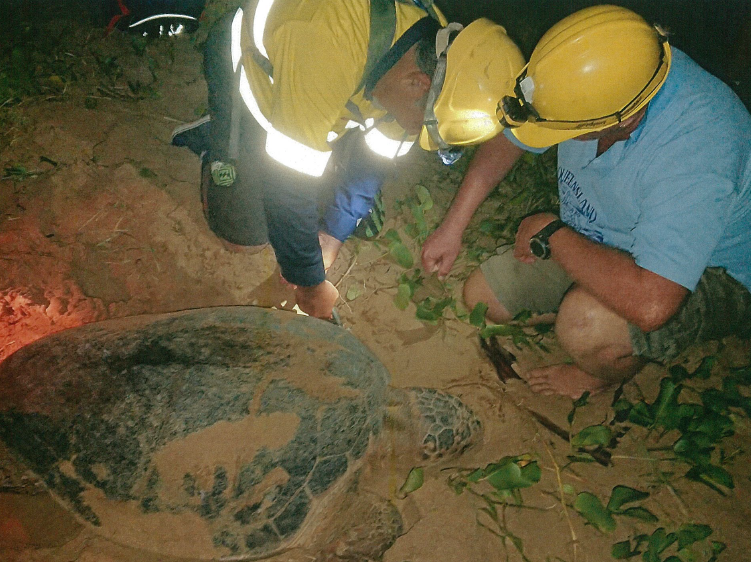 Other efforts included nesting and hatchling orientation studies, turtle tracking and turtle and seagrass health. The Great Barrier Reef islands are some of the most pest-free in the world. Keeping them this way is the goal of the Wreck Island Biosecurity Project, an environmental offsets project delivered through the Reef Trust in collaboration with APLNG. While Wreck Island is not open for visitors, Government researchers visit regularly to keep it free from invasive species and pests. By providing funding for the purchase and administration of ‘field camping kits’ for visiting researchers, we can decrease the likelihood of introducing pests via seeds, plants, eggs, insects, lizards, toads and mice being brought onto the islands on boats, clothing, footwear or gear of researchers. 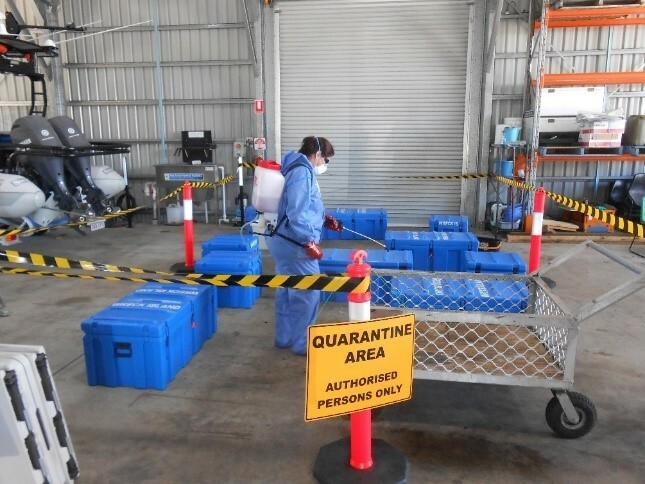 Personal items brought into the area are quarantined by staff, checked and treated if necessary. Dirt is removed from footwear and gear since viruses, bacteria and fungi are carried in soil. Visitors are drawn to the natural beauty of the Great Barrier Reef area, so updating infrastructure with an eye on biodiversity and reef protection is an important element of our efforts. On the reef, the only form of transportation is by recreational boats, so increasing the number of public moorings and reef protection markers was necessary to protect areas of significance and high use in the Mackay/Capricorn Management Area of the Marine Park. Three public moorings were added in the Keppel Island area and 20 were added in the Capricorn Cay Area. 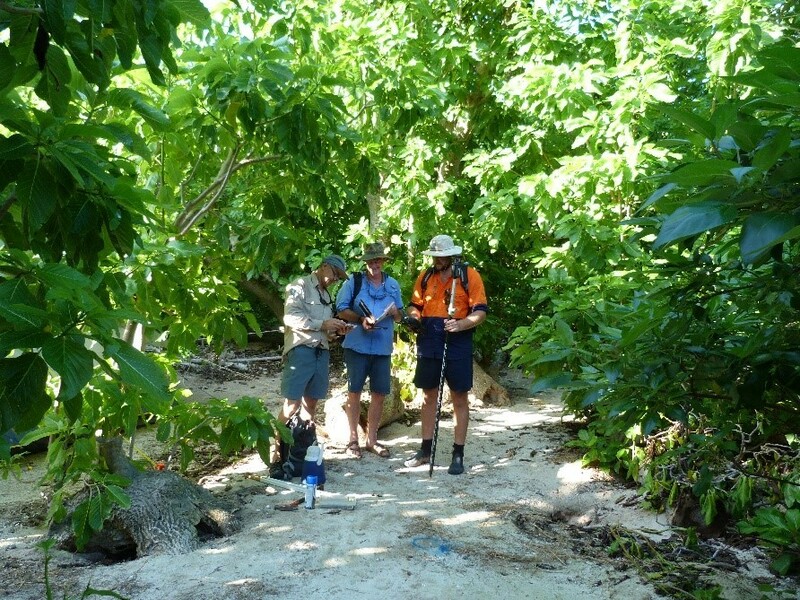 With camping popular on some of the nearby Islands, an environmental offsets project delivered through the Reef Trust in collaboration with APLNG funded visitor infrastructure, such as designated walking tracks on North West, Lady Musgrave, Heron and Lady Elliot islands to help protect and revegetate sensitive areas. This will be supported by the development and implementation of a visitor management strategy that includes the further redesign and modification of visitor infrastructure. An important element of reef stewardship is having plans in place for remediation of any accidental release of hydrocarbons. We collaborate with governmental agencies and other operators to implement APLNG spill response plans that detail specific procedures for addressing spills to land and water, depending on the size and type. 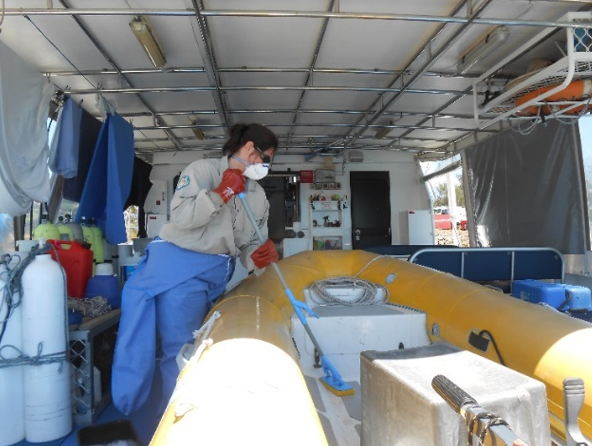 The spill response project, an environmental offsets project delivered through the Reef Trust in collaboration with APLNG, includes working with government to develop of a wider Great Barrier Reef environmental incident management framework including systems, training, procedures and the procurement of equipment. It also includes the development and implementation of damage mitigation, including the removal of abandoned vessels that are likely to continue to damaging reef habitats if they remain in situ, and restoration projects for marine habitats if an incident occurs.